I was introduced to Kettlebells by my wife who urged me to take an intro class with her. She thought it would be fun to do as a couple. I was my usual skeptical self but went just to check it out. I had an uninspiring gym routine that was merely “going” but I wasn’t convinced that another exercise program would make a difference. I’d seen no real gains in terms of muscle mass but my cardio was pretty good and my stamina adequate but I was still reluctant to participate in any “organized” exercise routine. I can say without reservation that my instincts were wrong. A wonderful year and a half later I’ve gained significant muscle mass and tone without bulking up, and I have oodles of energy. I cannot say enough about the instructors, Ron and Jen. Their encouragement and support are so invigorating and refreshing and they are helpful without being judgmental; giving praise where appropriate and urging us equally to be our best. I strongly advocate anyone of any age and ability to get out there and swing, particularly if you are prone to pain from running or any high impact sport or out of shape. It will do wonders for your self-esteem and it will change your outlook on how an exercise program should be. It really changed mine! I tried to teach myself how to use kettlebells with dvds and tutorials on the internet. No matter how many times I watched videos and read form descriptions I couldn't swing a kettlebell without lower back pain. There were no SFGs in my area so I did a search online and found NJ Kettlebells which is about an hour from where I live. After just ten minutes with Ron and Jenny, I was swinging with no pain. They are both incredible instructors who really know what they are doing. I wish that NJ Kettlebells was closer to where I live, I would be there every day. Jenny and Ron are both knowledgeable instructors and wonderful motivators. I've been with the program since July 09' and see a noticeable difference in the way I look and feel. Every session has a slightly varied exercises routine so there's no getting bored with the same workout week after week. If you are looking for a great workout and want to see results quickly, I can't recommend Kettle Bells enough as well as these two great instructors. Having been out of the "exercise" world for a while,(since I hate to exercise) I decided to try kettlebells. Well, I have to say that it is probably the most incredible "total body" workout ever. It's cardio, strength training, endurance, etc and at the end of the class I feel like I have accomplished something for me to improve my body, mind and soul. Jenny and Ron are amazing instructors. They work you hard but know when to make you push harder. I'm looking forward to many hours of sweating. 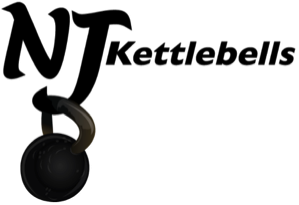 NJ Kettlebells is an awesome experience. You will be stronger, leaner and more fit. It really helped us build endurance and enhance performance in other regimens. Ron and Jenny are top notch instructors providing diverse, intense workouts. You have not trained until you've done this program! Now that I'm 50, I feel like I am in better shape than when I was a collegiate athlete thirty years ago. I feel healthier, stronger, and younger than I ever have. Kettlebells have changed my life. I have no aches, pains, or signs of wear that I had in my 30’s as a result of mistreating my body for the sake of sports. My joints, muscles, and energy level are better than ever. Thank you NJKettlebells! !